Reporter: Sir, why did you resign? 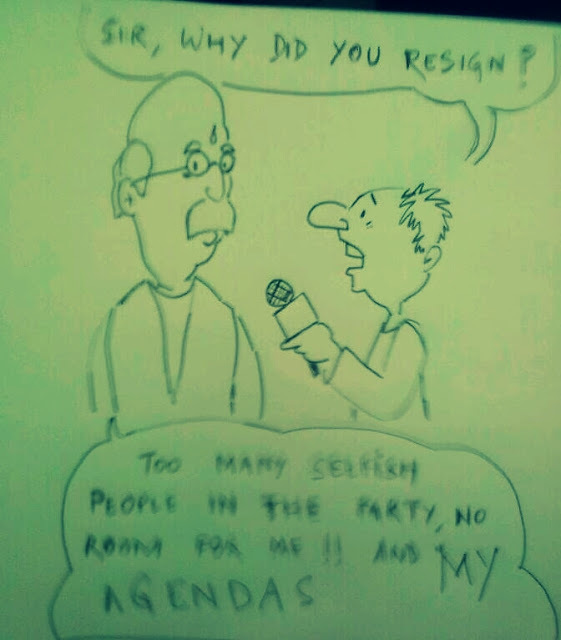 Advani: Too many selfish people in the party. No room for me! And my selfish agenda!!! Best of Luck for the contest of IBA !! very very nice depiction !